Lydie McBride has always embraced life to the fullest. But when an unthinkable tragedy strikes her family, everything she believes in is shattered. 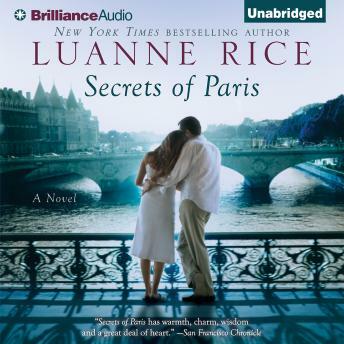 Her architect husband, Michael, watches the passion disappear from Lydie's eyes and from their marriage, and hopes that an assignment to Paris will help them reclaim a love that once seemed unassailable. But the City of Lights holds secrets and seductions for them both. As Michael pursues his design project at the Louvre - and falls into the orbit of a mysterious, alluring Frenchwoman - Lydie finds new inspiration for her work as a photo and art stylist and begins a friendship with two dramatically different women that will enable her to find a new life. Will there be a place for the man with whom she always wanted to share that life . . . if she can find him again?